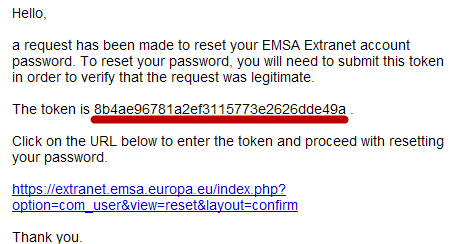 If you have forgotten, lost or never received your previously authorised EMSA Extranet username/password all you have to do is the following. 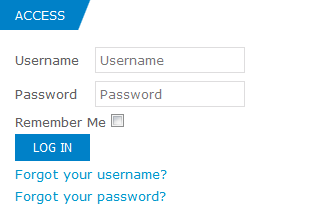 The system will send you an email with the username associated to your email account. This email with the token contains a link that will lead to a page like this.